Categories: Wireless Test, Sanjole, Inc., Cellular & Wireless, Industrial & Resources. 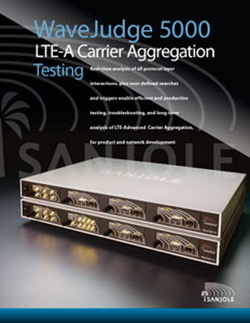 The Sanjole Wavejudge was designed specifically to troubleshoot the kind of problems that arise when designing and implementing new technologies such as LTE CA. 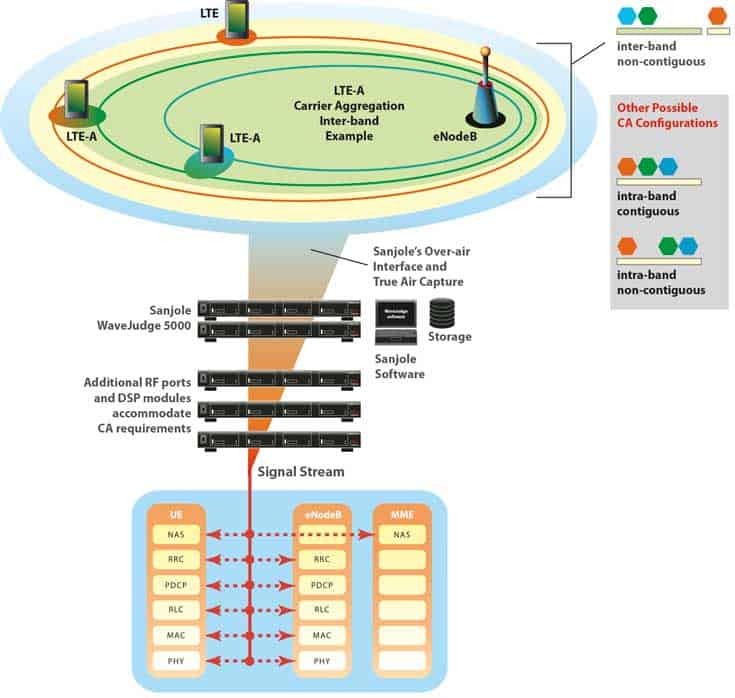 By tapping into the signal at the RF interface instead of one of the endpoints, the WaveJudge sees the complete conversation for all component carriers, including the PCell and all related SCells. The result is more reliable test results and fewer troubleshooting dead ends. The WaveJudge defines the PHY in software rather than hardware, enabling you to quickly customize the LTE PHY to adjust to the frequent changes in PHY specifications that often occur with emerging technologies. This can be used to troubleshoot problems such as a misconfigured CQI report by editing the parameters in a live capture and then replaying it to verify that the new parameters resolve the issue. Problem resolution depends on reproducing the conditions under which the error occurred to verify that the fix actually works, which is impossible with over-the-air testing where conditions cannot be tightly controlled and reproduced. The WaveJudge captures protocol messages and RF-signal characteristics, errors included, over the air and saves them for replay to validate that the problem has been resolved. 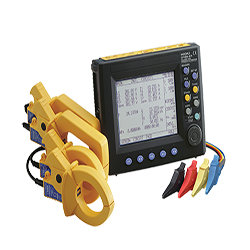 This gives you visibility into problems arising from errors in RRC configuration, CQI reports, and multiple PUCCH, PUSCH, and DCI formats. 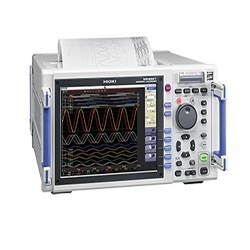 The WaveJudge shows RF signals time-correlated with upper-layer protocol messages, giving you the power to rapidly investigate and isolate the true root cause of the symptoms or failures you encounter. 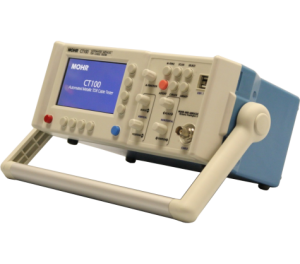 This capability brings the power of a protocol analyzer to wireless testing. 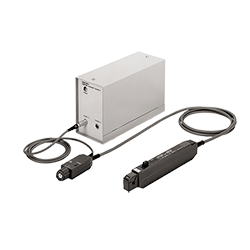 Configure per UE or per physical, transport, or logical channel for decoding. Analyze all upper layer protocols including MAC, RLC, PDCP, RRC, and NAS while correlating messages to the PHY layer. Examine the CQI report to verify SCell configuration. Verify DCI length for CSI scheduling. Check the PUCCH RRC field for proper channel allocation. Automatically extract CA RRC configuration parameters. Verify CA MAC activation/deactivation of Scells. Inspect CSI reports and examine cross carrier scheduling. Monitor multiplexed HARQ ACK/NACK of all configured cells. View all physical channels including PUCCH format 1b, 3 and PUSCH reporting channel.